Repeatedly seeing 911 leaves some people feeling very antsy. In the United States, this is the phone number for emergencies. It is also the date on which the Twin Towers fell under deadly attacks. We cannot wholly tie this association to 911 as an Angel Number for a very simple reason. Other countries do not have the same context, and Angel Numbers are universal. Read on to find out more behind the meaning of 911 now! In considering the symbolism and meaning for 911, we begin by recognizing the Master Number 11 in this sequence. Master Numbers are profoundly important. They challenge us to remain patient and mature in our choices. The number 11 resonates with our intuitive self and the subconscious mind. There is no question that Master Number 11 has two dynamic edges. One speaks of stress and a lack of balance, while the other implies creativity and magnetism. When you have this kind of duality, it certainly presents a test of our ability to ground and center. 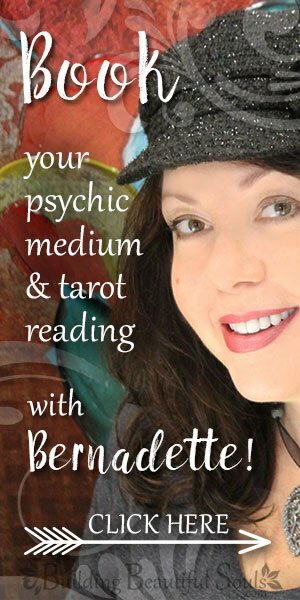 When you are working with Master Number 11, it requires that you focus on a specific goal. That is where Angel Number 9 comes into the picture. 9 tells us to live compassionately, be a leader, serve the greatest good and let your life become an excellent example to others; this is nothing short of a true spiritual evolution where your higher self and the Angels generate greater faith and psychic ability. Perhaps this is one reason why Light Workers are often associated with the Master Number 11. This Angel Number acts as a message of hope. You are very close to completing an important personal goal. Something wonderful, new, and exciting is beginning. Go with it! It might seem hard to believe, but this is something for which you’ve worked and that you deserve. Your Angels also remind you of how special you are in this world. Your soul has a purpose that none other has. The spiritual being within you knows this on a cellular level. The message behind the Angel Number 911 equates to going to a chiropractor. In this case, instead of your back, your chakras and spiritual focus get straightened out. The path is clear and straight; you will find your communications changing, and you fill with hope. Negative thought forms have no room in your conversations and writings. The beauty of this is that it not only reflects your progress but also blesses all those in your Circle. As you move forward with the lesson behind 911, keep your will firm and focus sharp. There’s no looking back with wishes. You are looking forward while remaining open to enough to trust. Your Angels know this path well and are here to guide you every step of the way. Truthfulness has many meanings in the journey with 911. There is Universal truth. There are societal mores, and there is personal verity. Remaining aware of Universal and personal truths is critical. Societal realities change, often very quickly. Universal Truths are as old as time and firm under your feet. Another theme in seeing 911 is that of security. All the ducks are in a row and ready to go. People, places, situations are set for you to do whatever you need for securing your future. All that’s left is wise action on your part. There is no question that you are growing at a geometric rate right now. You might feel it’s hard to keep up with the data downloads from your guides. In this, we recommend an Angel Number diary where you write down insights as they hit you. This way you can go back and read them over later for greater clarity. You will find journaling useful at many points in your spiritual path. Once a year go back to page one and read to the end. See with your own eyes how the Angels helped you get to this point in your soul’s journey. The sequence 911 requires returning to the cornerstone of 1, which is the self. One begins motion and turns on the proverbial Light; this Angel number provides improved energy, personal, and encouragement. When combined with 91, this number turns into a symbol for Alchemical transformation, spiritual sensitivity, and the vibe of creation itself. Number 911 ties to the law of Karma: Each person has a purpose in this world, but how that purpose plays out adjusts according to your soul’s story. You have an opportunity now to reap the rewards from positive actions, particularly those done selflessly. Positive actions lead to positive outcomes throughout the time you work with 911 energies; this is a fantastic opportunity. It does, however, come with responsible intentions. Watch your thoughts understanding that those energy forms can and often DO manifest. You are as you think. Visualize, if you will, a multi-colored spiral of energy moving ever upward. It is your soul’s DNA; that is the impact of 911. It is the realm of visionaries and mystics. Here the Master Teachers offer some answers to those nagging life mysteries. Keep rising with that spiral toward illumination. By the way, if the numeric sequence 911 means something personal to you, don’t be afraid to use that symbolic value when considering your Angel’s message. Your own experiences and memories matter to your whole Being. Bringing your perspective to this moment may well be the key that unlocks even more of 911’s message. An excellent exercise when working with Angel Number 911 is a simple vocal expression. Begin with “I am.” Now add to that. For example, “I am aware” or “I am compassionate. Putting it into the affirmative energetically “tags” those concepts as already coming to fruition. 911 feels like a quantum leap. Your perspectives change. You begin to see the ties between all time, all space, and all people. Each of those ties has a pattern and a vibration that you can tap into with your Guardian Angels help. In matters of relationships and connections, it feels like you have hit problem after problem. Even the tiniest of breaks would be a blessing. 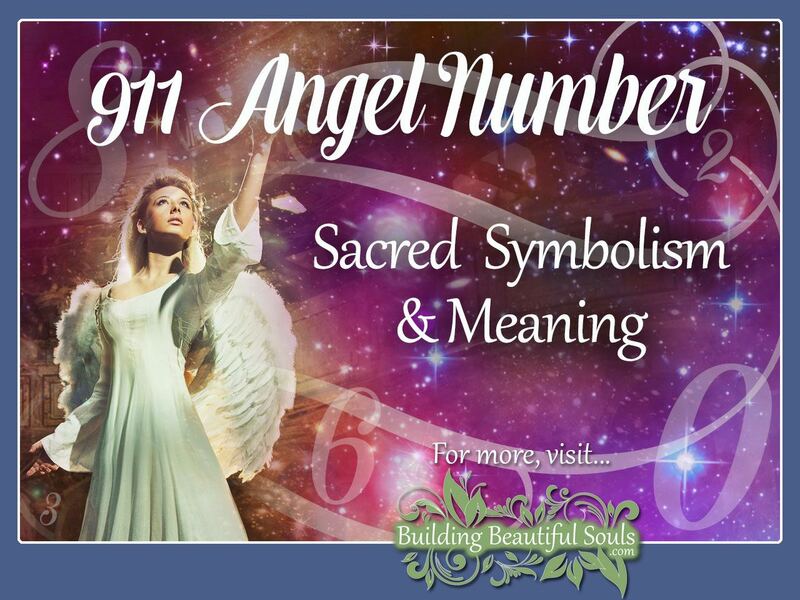 Angel Number Love from 911 means that’s exactly what’s about to happen. It may seem impossible to believe but dig your fingernails in for just a moment longer. Suddenly a light shines through your darkness and things start to make sense. You realize that you don’t have to please all of the people all of the time. That’s unhealthy even in a committed relationship. An important thing to remember when you see 911 Angel Love Number is that you MUST remain wholly honest. That doesn’t mean you have to deliver the truth with thorns attached. Nonetheless, this is a moment when the truth will, indeed, set you free in some aspect of your energetic exchange with another person (possibly a group of people). You are surrounded now by a group of individuals all of whom have karmic connections. That means you’re working some stuff out, and that’s not always easy. But truly, fear and uneasiness aren’t reasons for maintaining a facade or continuing an unhealthy bond. Interactions that continually create stress and anxiety are not nested in love. Time to tie up any loose ends and move on; this is truly best for everyone and creates a positive example for others who may face similar quandaries. Breaking it up into its parts, the number nine indicates an ending (since it is the last of the single digits). Nine has come a long way from zero into leadership, service and a gentle awareness of Universal Laws and patterns. One is that new beginning and a whole new cycle: We’re not done, though. Number 11 is a master number for awakening and enlightenment in some area of our lives (this need not be spiritual – it’s simply like waking up knowing something deep down); this is a life-changing light bulb moment. Listen carefully to your Guides and Teachers. Those messages will be vital in the days and weeks ahead. Inevitably 911 leads you closer to your soul’s contract for this life. There will be more order in your reality, and it feels good. A place for everything and everything is in its place. You may find yourself called to become a Light Worker, which means getting used to being a role model. You can raise people’s consciousness if you are ready and willing. The Book of Revelations, Chapter 9, Verse 11 speaks of the 5th Angel trumpeting, and opening an abyss on earth from which locusts come out. These creatures are commanded not to harm anything or anyone unless they do not have God’s seal on their forehead (a sign of faithfulness). Using Bible Numerology, the words and phrases that correspond to 911 in sum are The Beginning (Genesis), Grace (Revelation), The Foundations of Heaven (2 Samuel) and the Beginning of Wisdom (Proverbs). If 911 keeps repeating even after you respond to the signs, things are about to get dicey. Have you ever watched a show where the cliffhanger drove you nuts? Well, you are living that right now. You can’t see what’s beyond that cliff, but you know that you must go there seeking your destiny. Number 911 embodies many life lessons. It helps if you meditate on them one at a time so you can integrate what your Angels teach you. If you try to do too much, too fast all that information becomes jumbled, and you’re back at square one. Stick to the ONE in 911. Some of the critical concepts embodied by 911 include tapping the collective consciousness, radical change, patience, focus, possibilities and potential, and illumination. Overall 911 acts as a spiritual gateway. Whether you chose to walk through is really up to you. Angels will not pressure you. They merely offer opportunity, guidance, and assistance. You may find yourself stopping momentarily on that precipice, akin to The Fool of the Tarot; this is common because what you do in this moment of intense awareness changes life as you know it forever. Please note that the intensity of 911 means that you need to take special care of your physical self. Our bodies are temples, and our brains a Priest or Priestess. Stay healthy. Clean your aura regularly. Do all those things mom told you to do; this supports your body’s ability to handle the high dynamism that 911 demands. It also supports the research your mind craves as your story moves forward. Every person has the potential to reach this pinnacle where we come into fullness. You are at the edge of creation. The Big Bang rolls outward from your spirit carrying millions of possibilities. It will take a while to get to know the new you; this is a rebirth where you go back to 0 only on a whole new, higher vibration. Pause to celebrate this moment. Honor it.